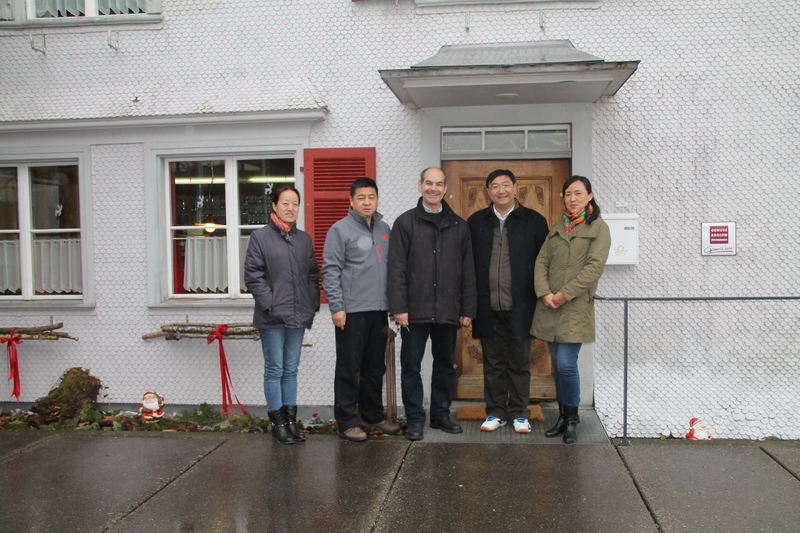 A few days before Christmas a delegation from the Chinese province Xinjiang came to Vorarlberg to learn more on sustainable construction and renovation processes. 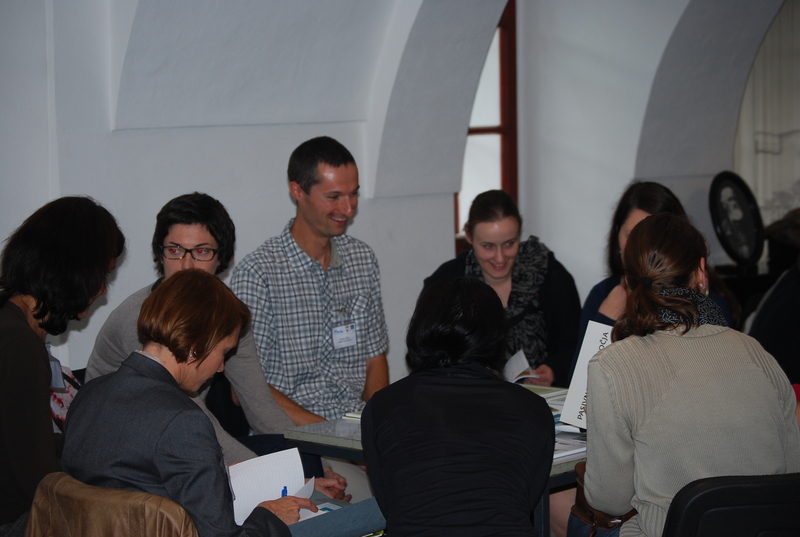 They’ve been invited from the German GIZ, the University of Vienna and CIPRA International. 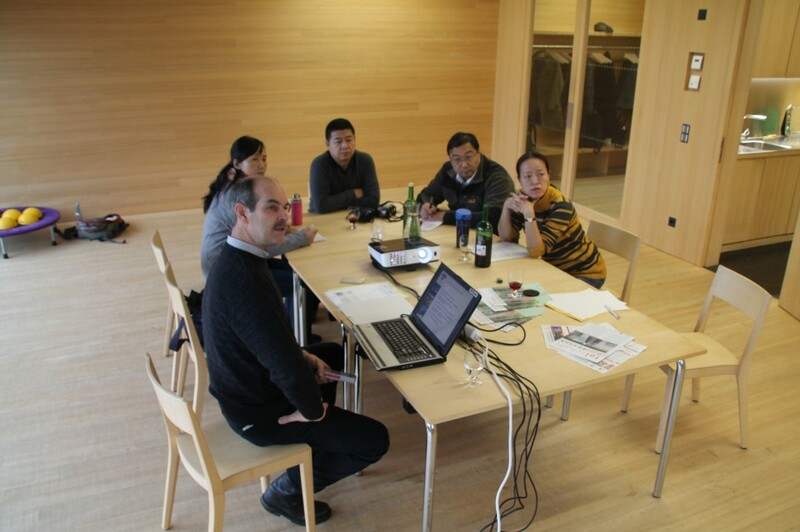 All of the guest have an engineer-technical background are now working for the Institute of Biomass Energy and the Xinjiang Academy of Agricultural Sciences. 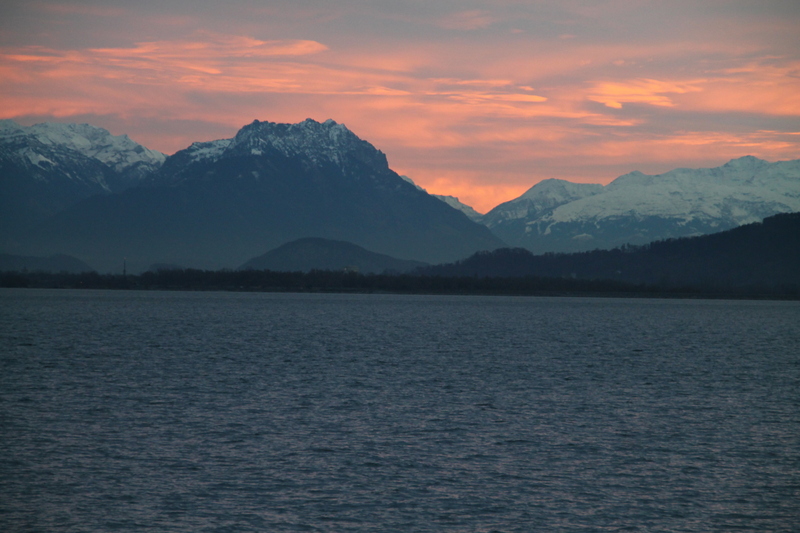 On Thursday 18th of December we started our Tour very early (7 o’clock!) in the region of the “Grosses Walsertal” in Vorarlberg/Austria. Our host – Albert Rinderer the energy manager of the region explained the concept of e5 (energy efficient communities) in the fascinating community building of St. Gerold. Our Chinese guests were really wondering that a 360 inhabitant’s village can afford a sustainable building like this for around 2 million Euros. 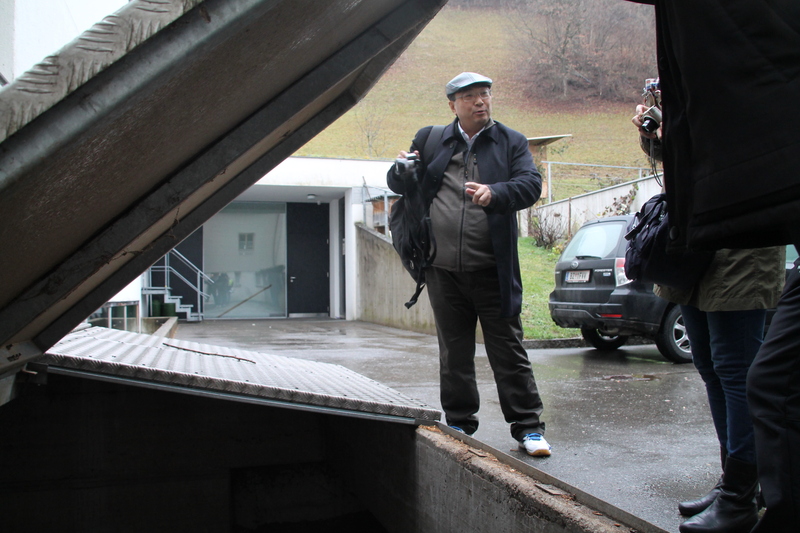 They were very interested in the heating systems of different buildings, and so we went on to see the biomass heating hydro plant in the community of Thüringerberg. After a traditional Austrian lunch break with “Kässpätzle”, “Gulasch” and “Wiener Schnitzel” we went on to the city of Feldkirch. After visiting the new hydropower station “Illspitz” (with a special focus on ecological compatibility measures) we were invited to the company Zumtobel (LED lightning solutions). 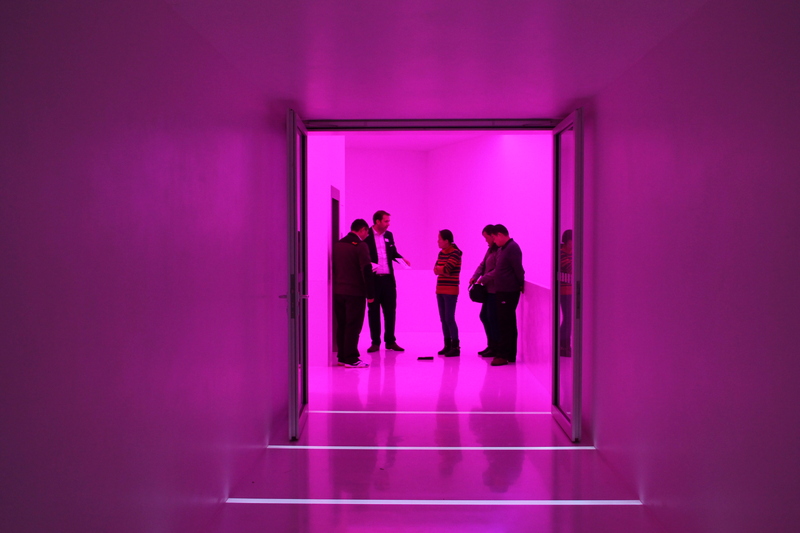 In a guided tour through the Lightning Forum of the Zumtobel Group we experienced how light affects emotions and one’s well-being. Another good side-effect of the LED technology developed and produced by the company is the minimum energy demand. They even managed to illuminate a tower in the city of Hamburg with not more than the same energy equivalent of a hair dryer. On the second day of the international study trip my colleague from the “Energieinstitut Vorarlberg”, visited pilot projects of the MountEE project with the group. It was very interesting to discuss all energy related issues with the Chinese engineers. They got new ideas (and we did too!!) and will try to implement them in their working environment. The international exchange is a very good example how EU-funded projects can affect things on a global level. Vännäs is a small municipality in the inner parts of Västerbotten county in northern Sweden. The Nya Vegaskolan in is built as Passive House according to the international Passive House criteria (PHI). It will also be certified according to the sustainable certification system “Miljöbyggnad Guld” (“environmentalfriendly building, Gold standard”). This is so far unique for Sweden. The building envelope and insulation is of 100% renewable materials. 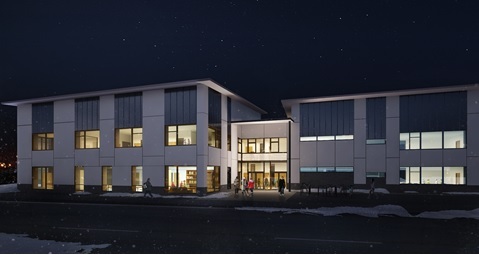 The building area is 4260 m2 on two levels and will be used by 600 pupils and 35 teachers. The heat demand is 87% below current Swedish building regulations and the total energy demand is 80% below the building standard. Certification criteria for total specific primary energy demand is ≤ 120 kWh/m2a, for heating ≤ 15 kWh/m2a). All energy calculations have been done with the Passive House Planning Package (PHPP). Use of low-emission products is a further important part of the project. The new school replaces a damp damaged building which also contained asbestos-containing components and which has been located at the same place. There will be no new sealed surfaces. The decision to build the new Vegaskolan as a model project for sustainable building was taken in 2012. The planning process started 2013, the same year the municipality agreed to follow the MountEE pilot project criteria. The construction work started fall 2014 and the building is expected to be completed late summer 2015. • To showcase the possibility of a zero energy, zero waste and zero Pollution building. 1) It is possible to build certified Passive Houses in the cold climate of North Sweden. This is of high importance for the ongoing discussion in Sweden how to implement the EU building directive in Sweden. E.g. the national Swedish building authority Boverket is arguing that the current building standard in Sweden (e.g. 130 kWh/m2/a for Northern Sweden) is in fact already what should be seen as NZEB standard for (North) Sweden. 2) The use of the LCC method was crucial for the success of the project. The cooperation between the architect and Vännäs municipality was very fruitful and even the involvement of stakeholders and future users was an essential part of the project work. 3) A lot of communication and information activities were carried out from the very beginning of the planning work. The project was seen as a lighthouse project for Vännäs municipality from a very early stage of the planning process. 4) The procurement of ecological and low-energy building materials was decisive for the success of the project and sometimes a real challenge. CESBA stands for Common European Sustainable Building Assessment and represents a bottom-up initiative towards promoting a harmonization of sustainable building assessment throughout Europe. Mountee is part of this European approach, mainly developing service package for local authorities. 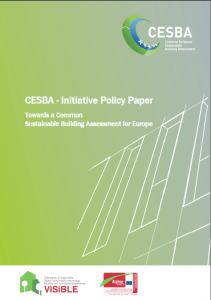 CESBA welcomes the recent communication of the European Commission in its “Resource efficiency opportunities in the building sector” (COM (2014) 445 final) in an Initiative Policy Paper released in october 2014 and presented in Bruxelles, together with DG Environnement. More than a common European approach to assess the environmental performance of buildings, CESBA also wants to promote a new culture of buildings in Europe – one that will be more likely to take into account the overall impact of construction on the European environment. In this perspective, the CESBA partners propose several concrete recommendations. 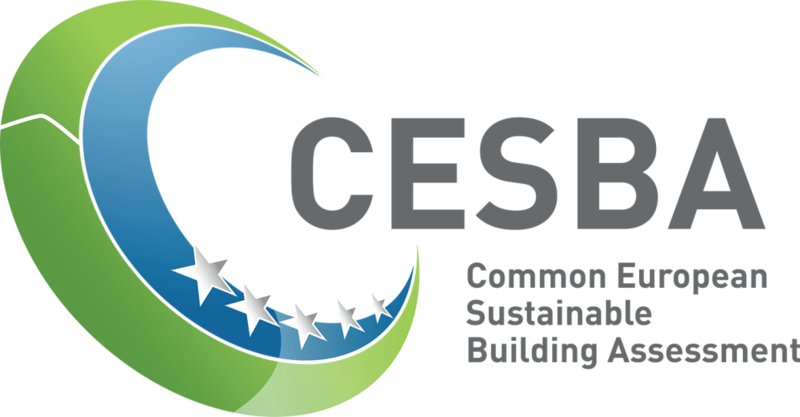 On this base, CESBA calls on both the public and private sectors to gather their knowledge and power to move the sustainable building agenda forward. These joint efforts could lead to tremendous impacts that will benefit the people as well as the environment. today we’d like to thank you for not just reading this Blog. In 2014 we’ve received numerous feedback, discussion points and questions from you on sustainable construction and renovation. We hope you’ll be loyal readers in 2015 too. After a two weeks Christmas break we’ll start presenting the projects results in January 2015. Till now, 33 buildings have been constructed or renovated in a sustainable manner. The main challenges and the lessons learned can be found on the MountEE homepage and in different Posts. Finally we’d like to which all of you a great and peacful festive season and all the best for 2015! About 70 participants – members of the Alpine towns of the Year network, other professionals, experts, local, national and international politicians – came together to discuss chances and challenges of sustainable and energy efficient building and renovation for municipalities. 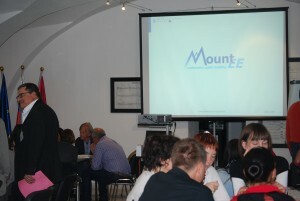 The event took place on October 17th in Idrija/SI. The workshop “Building and renovating in a sustainable way: from strategy to realization” was a possibility to interact with experienced municipalities, decision makers and experts. 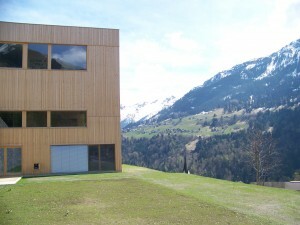 What does it needs for sustainable building in and outside the Alps? What stakeholders and measures are necessary? Which mistakes can be avoided? The market place of ideas, an interactive format which enables discussion, was an ideal opportunity to ask peers and professionals with on-the-ground experience. In the framework of the workshop, also financed by the MountEE project, experts like Angela Sanchini from ARES or Bruno Summer, mayor of the example building in St. Gerold, explained which strategies, measures and cooperation’s are necessary for the implementation of sustainable public building. Severine Letheule, responsible for sustainable development of the City of Chambéry reported how her city developed its manual “build, plan and retrofit sustainably” and how to integrate environmental and social criteria into public construction. The slovenian scientist and entrepreneur, Bruno Dujić, talked about wood as public construction material for municipalities. 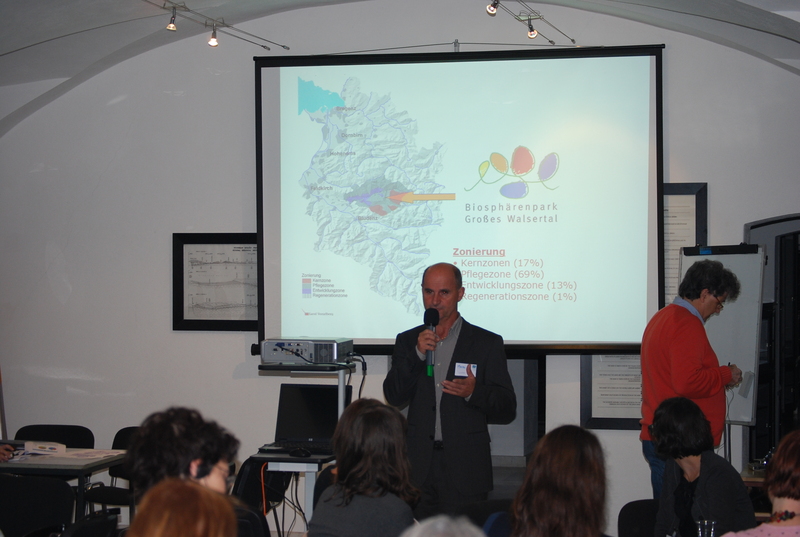 Miro Kristan of the Soča development agency represented the “Low carbon strategy of the Upper Soča Valley” and explained how municipalities can reduce energy and at the same time CO2 emissions. The Green integrated economy model of Šentrupert was developed especially for the municipality. Among other things the concept includes the first low-energy and low-carbon wooden kindergarden of Slovenia and a heating system on wooden chips. That shows that municipalities can do a lot for energy transformation in the building sector (Further information: http://www.100-res-communities.eu/news/communities-take-the-lead-in-the-energy-transformation). The multifunctional community center Rinka won the 3rd place within the alpinewide competition Constructive Alps, where sustainable buildings and renovation in the Alps are warded. Architect Uroš Lobnik presented his work, its implementation as well as hurdles and opportunities connected with it (Further information: http://www.constructivealps.net/preistraeger-2013/). Yes, because building in a sustainable way is also using local materials. Favouring short supply chains reduces greenhouse gaz emissions, boosts the economy and strengthens the local sectors. Which sector could we develop in the Regional Natural Park? Wood ! Forest is covering 55% of the PNR’s territory, it’s a forest mainly composed by pinus uncinata and Scots pines (pinus sylvestris). The first species, the most common, has obtained in 2014 the european certification. This process was carried out by the PNR and its partners. What does this certification change? Professionnals, as charpenters, are now able to use this species because it benefits from the ten-year guarantee. Scientific tests proved its stability and its quality of resistance. To supply professionals with sawed wood. The PNR is supporting an audit of the intermunicipal sawmill. The goal of this audit is to help the sawmill to meet the requirement of the construction companies. Then, we will try to bring craftsmen to use the trees of our forests. Our project is based on two needs: we need a space for municipal life, and we also need a meeting place for the habitants. What shape will it take ? We are considering to renovate a barn and create two spaces of 70m2 each on two levels. The ground floor will be opened to the extorior. Why did you become one of MountEE’s project-pilote? When the Park launched its call for projects, we had just bought the barn. And it was obvious that we wanted to make an exemplary renovation, to respect the spirit of our village. What are you gaining from the PNR through MountEE ? Without the help from the PNR, we wouldn’t have been hable to make it happen. The PNR’s technicians helped us to ask ourself the good questions. We have benefited from trainings. And they keep coaching us in the follow-up of the project. How is it going on ? We have choosen our architect (Emmanuel Branco) after the audition of 4 candidates. He worked on the pre-project, which was presented on mid-november to the Region and the ADEME (the french public agency for Environment & Energy). Because now, we have to look for subventions. What is the stake of the communal House ? This is a two-fold challenge : we want to do a quality renovation which can be looked as an example by other municipalities, and the goal is also to create a certain dynamisme in the life of the village, by welcoming interships or meetings. C’est exact, car bâtir durable c’est bâtir local. L’organisation de circuits courts réduit les émissions de gaz à effet de serre, stimule l’économie et consolide les filières locales. Quelle filière développer dans le Parc ? Le bois ! La forêt recouvre 55% de la superficie du Parc avec essentiellement du Pin à crochets et du Pin sylvestre. La première, la plus répandue, a obtenu en 2014 la certification européenne. Une démarche portée par le Parc et ses partenaires. Quelle est la plus-value de cette certification ? Les professionnels, tels que les charpentiers, peuvent utiliser cette essence qui bénéficie dorénavant de la garantie décennale. Les tests ont montré ses qualités de résistance et de stabilité. Fournir du bois scié aux professionnels. Le Parc soutient une étude sur la scierie intercommunale du Capcir. Il s’agit de l’aider à mieux répondre aux commandes des entreprises. Ensuite nous démarcherons les artisans pour les convaincre d’utiliser le Pin de nos forêts. Notre projet repose sur deux besoins, celui d’un local pour la vie municipale et d’un lieu de rencontre pour les habitants. Nous envisageons de rénover une grange et de créer deux plateaux de 70 m² chacun sur deux niveaux. Le rez-de-chaussée sera ouvert sur l’extérieur. Comment êtes-vous venus à MountEE ? Quand le Parc a lancé son appel à projets nous venions d’acquérir cette grange. Et il allait de soi que nous nous orientions vers une rénovation exemplaire, dans l’esprit du village. Que vous apporte le Parc dans le cadre de ce programme MountEE ? Sans l’accompagnement du Parc nous aurions été incapables d’aller au bout de l’aventure. Les techniciens nous ont aidés à nous poser les bonnes questions. Nous avons bénéficié de formations. Et ils continuent à nous coacher dans le suivi du projet. Nous avons sélectionné l’architecte Emmanuel BRANCO après l’audition de quatre candidats. Il a dessiné l’avant-projet que nous avons présenté ce 12 novembre à l’ADEME et à la Région. Car maintenant nous devons rechercher des financements. Quelle est l’enjeu de cette Maison communale ? Il est double. Nous voulons réussir une rénovation exemplaire qui puisse servir à d’autres collectivités. Et nous voulons que cette Maison participe à la dynamique du village avec l’accueil de stages ou de rencontres. The valley “Grosses Walsertal” in the Vorarlberg region of Austria is a very special one regarding its use of energy and resources and its innovative architecture. First of all the valley is a UNESCO Biosphere Reserve with the aim to explore the relationship between man and nature, while taking up social, economic and cultural aspects as well as environmental concerns. With approximately 3.400 inhabitants, spread on six municipalities the valley is rarely populated (18 inhabitants per km2). Thus the region ensures a high quality of life besides a breath-taking landscape. To preserve the region for following generations a secure provision with energy plays a major role in the leading concept of the region. Due to its richness in natural resources (mainly water, wind and sun) the use of local and green energy is obvious. The goal of the valley is to produce all of its energy demand with renewable local resources. Sounds like a fairy tale! But in fact they’ll reach this goal till 2030. Closely related to the goals of energy efficiency are the architectural lighthouses of this region. 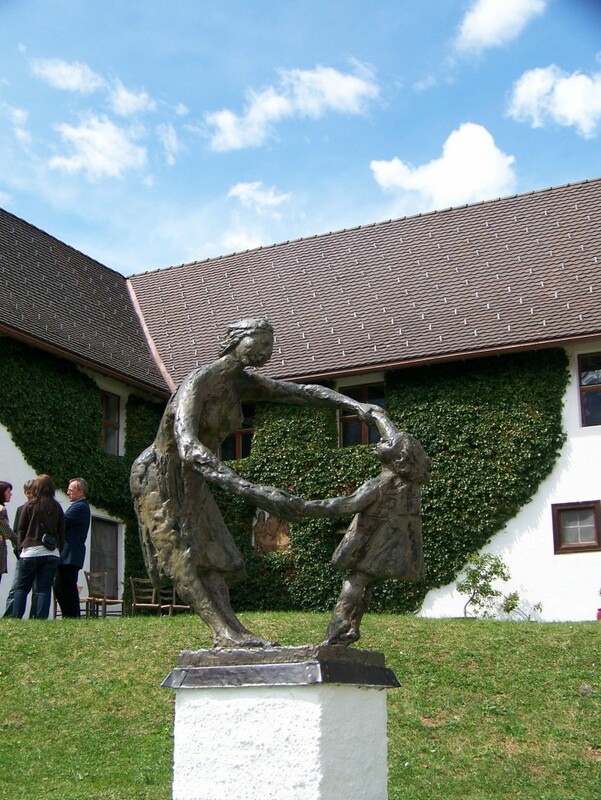 The community building of Thüringerberg, the community centre St. Gerold or the community building Raggal are just a few examples. Together with tourism experts the region now developed an excursion guide, for tourists, architects engineers or in other words for everyone who is interested in! The guide is available in German: http://brochures.austria.info/en_INT/brochures/show/6300-Exkursionsf%C3%BChrer-Gro%C3%9Fes-Walsertal but foreign speaking tours can also be booked on demand. On December 17, will be held in Trieste the event “Synergies between funded projects in the field of the Green Economy and Sustainable Development” organized by the Joint Technical Secretariat for Cross-Border Cooperation Programme Italy-Slovenia 2007-2013. Finally ARES will present the final results of the project “Energy Villab” in particular with regard to the living lab that analyzed industrial buildings and craft of Maniago District of knife . 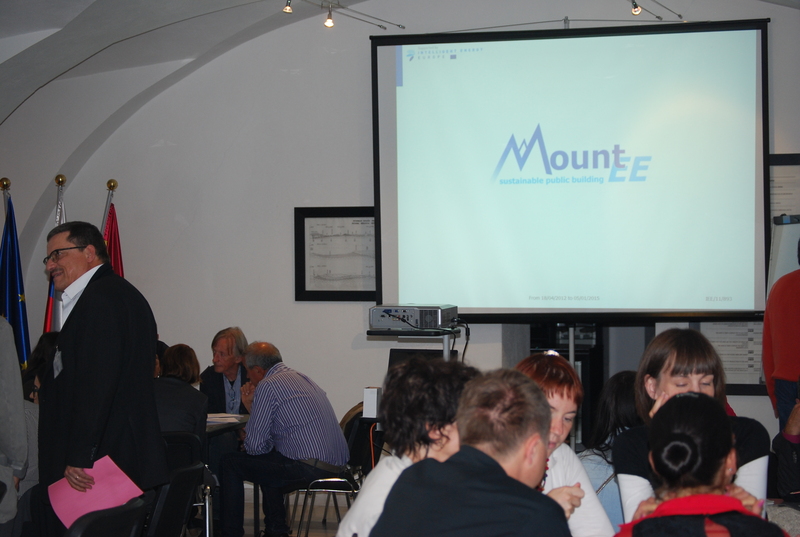 It will be an important opportunity to disseminate what we are doing with the project Mountee in our region. Il 17 dicembre si terrà a Trieste l’evento di capitalizzazione “Synergies between funded projects in the field of the Green Economy and Sustainable Development” organizzato dal Segretariato Tecnico Congiunto Programma per la Cooperazione Transfrontaliera Italia-Slovenia 2007–2013. Durante l’evento ARES presenterà lo stato dell’arte della green economy e dello sviluppo sostenibile nell’area della Regione Friuli Venezia Giulia e presenterà i primi risultati dei progetti “ENRI Risparmio energetico e energie rinnovabili per gli edifici del terzo settore” e del progetto MountEE “efficienza energetica e sostenibilità per gli edifici pubblici delle zone montane”. Presenterà infine i risultati finali del progetto “Energy Villab” in particolare per quanto riguarda il living lab che ha analizzato dal punto di vista energetico gli edifici industriali e artigianali del Distretto del coltello di Maniago. Sarà un’occasione importante per divulgare quanto stiamo facendo con il progetto Mountee nella nostra Regione. The regional branch organization IUC Norrbotten and Nenet Norrbotten Energy Agency via MountEE project offer the first practical training course on Passive House technique in Northern Sweden. The course will be hold by two of the foremost experts in low energy building. A unique training opportunity is offered, where participants learn the latest technology, which will help to lay the foundation for new business. Tommy Wesslund and Simone Kreutzer from the Swedish IG Passive House in Växjö carry out the training and are going to share their expertise in energy efficient construction. The training is aimed at several main target groups – carpenters, electricians, HVAC installers, precast installers, building workers, supervisors and other professionals involved in the entire construction process. Further target groups are architects, planners, developers and designers who already have started to work on energy efficient building construction. The intensive course is based on Passive House technology, which is the highest level of air-tight and energy efficient construction. The future demands and regulations for low energy buildings in all over Europe will affect the entire Swedish construction industry. In 2021 all new buildings have to meet the so called “NZEB Near to Zero Energy” – standard. The training will be held in Luleå, Norrbotten County, North Sweden from 9-11 December 2014. The detailed course program can be found here (in Swedish): Passive House training Luleå.